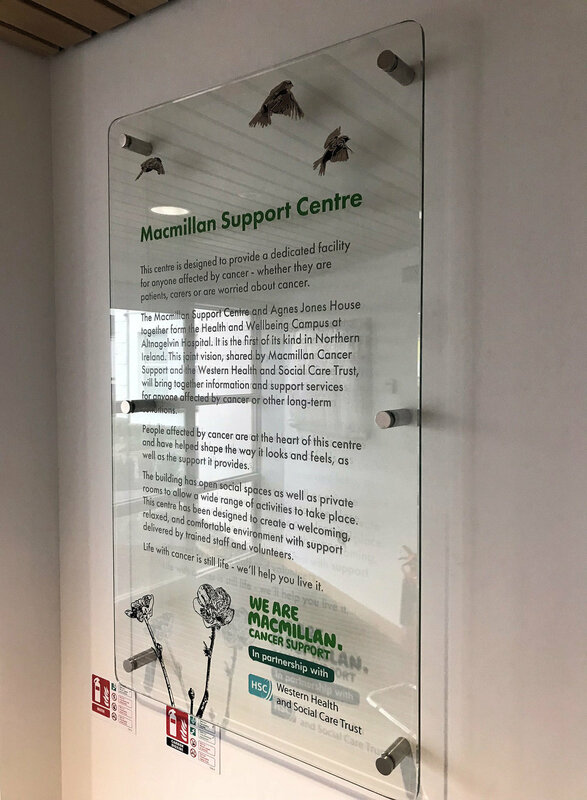 In collaboration with local artist Locky Morris, Alpha were commissioned to create a decorative glass piece at the entrance of the new Macmillan Cancer Support Centre, Altnagelvin Hospital, Derry. Design was by Locky Morris overseen by MacMillan and Implemented on glass by Alpha Stained Glass using various etching and painting techniques. 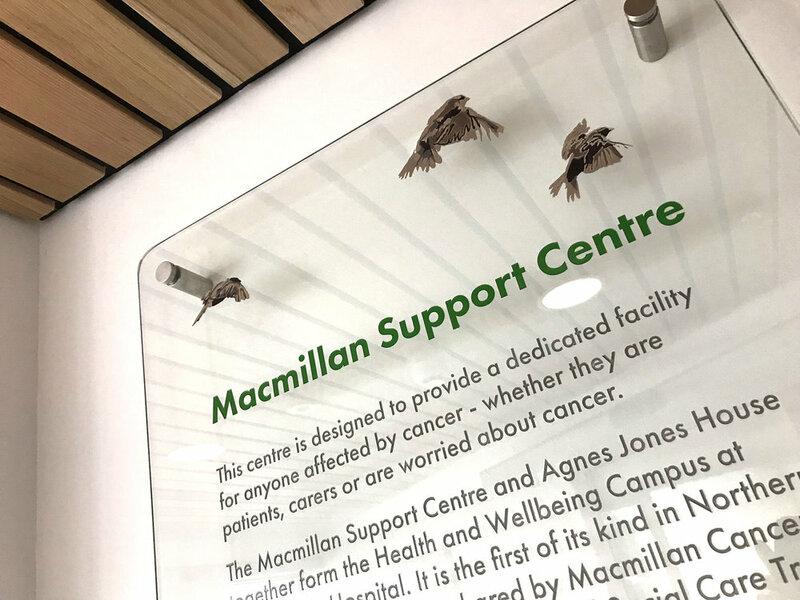 The finished piece was installed into the new foyer of the support services centre using stainless steel stand off supports. 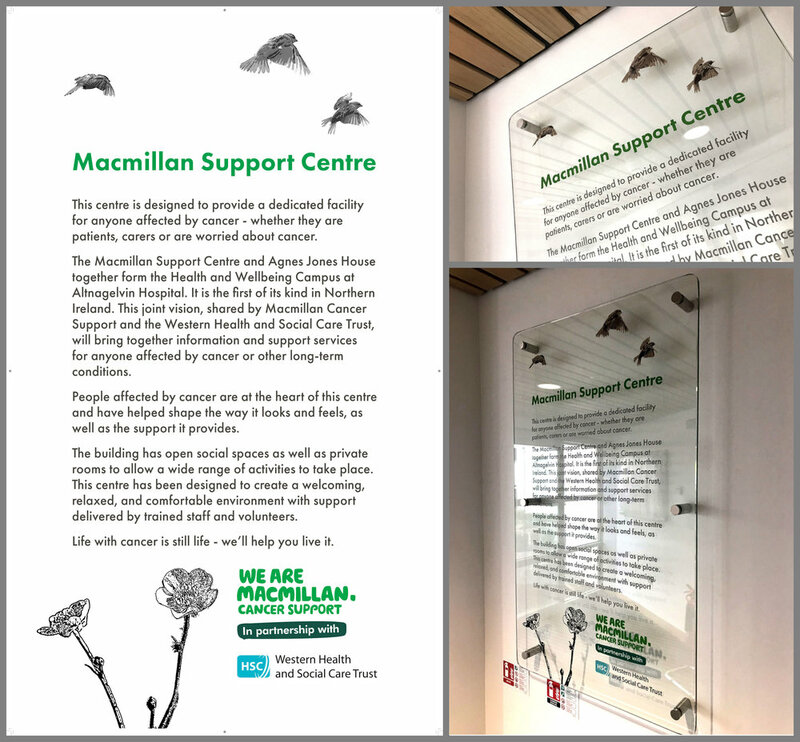 Alpha Stained Glass were very pleased to be able to support Macmillan on this project. Alpha Stained Glass was contracted by J.A. GAMBLE & CO LTD and Caroline Dickson Architects to take on the task of installing a new storm glazing system at the historic Christ Church, Bowling green, Strabane. A range of different storm glazing systems had been in use at Christ Church. We replaced these with our own removable, ventilated system throughout. Once the existing storm glazing was removed, we resealed all of the stained glass before cleaning and polishing the lead work. All glazing was cut, drilled and polished in-house, then toughened and installed on site using our bespoke bronze fixings. Which allow the glazing to be removed if any maintenance to stained glass or stone is required. We would like to thank the Rev. Mark Lennox, J.A Gamble and Caroline Dickson Architects for inviting us to take part in this project and wish the Church well in the continued restoration of this historic building. The images of the new storm glazing can be seen in our gallery here. Our design team met with representatives of the club and it was clear they wanted something special to symbolise and celebrate, their 5th year of success ,in providing a community based approach to running in Derry. We made the decision to incorporate the '5' into the clubs existing logo and use the distinctive Blue/Yellow used widely in their media and merchandise. All of the awards were etch and painted by hand. Congratulations to all of the recipients of these awards, take a look at more of the great photos in our gallery here.